Dance: Americans have been getting into the holiday spirit with Tchaikovsky ever since the 1950s, when George Balanchine resurrected an overlooked part of a double-bill (with the one-act opera Iolanta) from 1892 about a girl’s magical Christmas in which a nutcracker battles to the death with the Mouse King and rodent horde and ends up in the arms of a prince. The story, by E.T.A. Hoffmann, is goofy even by the standards of fairytales, but no one can resist the music, and that’s why The Nutcracker can be seen all over the breadth of the land at Christmastime. Tonight and this weekend, Boca Ballet Theatre offers its annual version of this charming ballet, which is ideally suited for children, adding to its appeal and didactic usefulness. Dan Guin’s two guests this time around for the roles of the Sugar Plum Fairy and her Cavalier are Catherine Hurlin and Jose Sebastian of American Ballet Theatre. Four performances are scheduled at 7 tonight, 2 p.m. and 8 p.m. tomorrow, and 2 p.m. Sunday at the Olympic Heights High School’s theater in Boca Raton. Tickets start at $25 for adults, $15 for children and seniors, and after the two matinees, you can attend the annual Gingerbread Ball fundraiser for $8. Call 995-0709 or visit www.bocaballet.org. 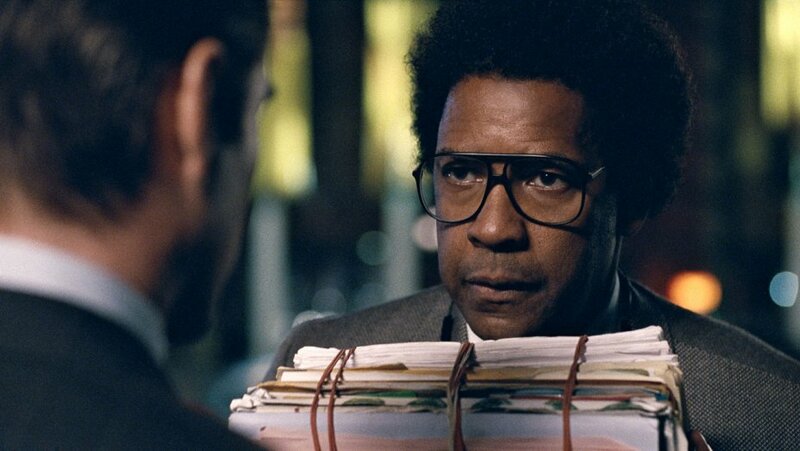 Film: Two-time Oscar winner Denzel Washington has gone through many an on-screen transformation in his career, but you have never seen like Roman J. Israel, Esq., the title character he plays in Dan Gilroy’s new legal world drama. Roman is borderline autistic, but laser-sharp with a memory of legal precedents and the minutiae of the penal code. For years, he has been the inside man of a two-attorney practice, researching cases and readying a trial strategy, without ever stepping foot in a courtroom. So when his partner suffers a heart attack, Roman needs to find a new job, and settles for an upscale corporate law firm, despite his own well-honed moral compass. He gets involved with thorny cases, and in one instance makes a critical error in judgment, but the film’s plot takes a backseat to the character study of Roman and Washington’s performance. Gilroy writes crisp, glib dialogue which also helps to carry the day. Theater: Broward’s Stage Door Theatre is like a box of chocolates. You never know what you’re going to get, but more and more the company is rising to the challenges of some major musical productions. 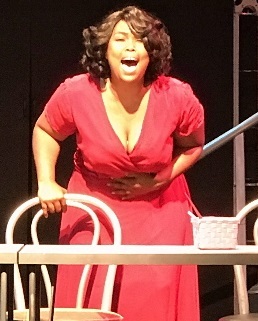 Currently, through Dec. 10, it is excelling with Dreamgirls, the pulsating look at the seamy side of the recording industry as well as the contentious evolution of the 1960s Motown sound and a girl group that is suspiciously reminiscent of The Supremes. Kevin Black directs an impressive cast led by Sarah Gracel as soulful, plus-sized Effie White, Don Seward as the group’s velvet-voiced viper of a manager and Elijah Word as loose cannon rocker James Thunder Early, a dead ringer for James Brown. The cumulative effect is volcanic and not to be missed. Call 954-344-7765 for tickets.